Philip has a successful track record of achievement as a leader and senior manager in the public and private sector. 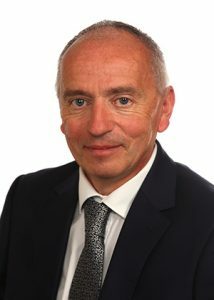 In 2013 he was appointed to the OGP executive as head of sourcing education with responsibility for implementing and operating the centralised procurement model within the new DES sector sourcing hub, EPS. Within the Education Sector, Philip is responsible for sourcing a procurement spend of approximately €900m annually. In his role as director of EPS, he has established and developed a business model and change management strategy to on-board the model and has delivered savings of over €13m to date. David is responsible for managing the sourcing and day to day activities of the team within the EPS portfolio. David also works closely with the EPS Director on managing strategic and bespoke procurements for education. Bridget leads and manages the Ag & Vet Category team in the sourcing of its category projects. She also supports the Portfolio Manager in project and resource planning around sourcing bespoke education requirements. She also leads the sourcing and project planning of Library Goods & Services. Bridget is also the Data Protection Officer for EPS. Neil leads and manages the Lab Category team in the sourcing of its category projects. He also supports the Portfolio Manager in project and resource planning around sourcing bespoke education requirements. Gerry leads category strategic, education specific and bespoke requirements and supports the Category Managers and Portfolio Manager in developing and framing category management in the EPS. Our team of Category Specialists provide the foundation for the EPS management team in delivering a sustainable, value for money, professional and compliant procurement sourcing service to its customers. The Procurement Administrator supports the EPS team across the full range of activities in sourcing and corporate services.